The gruesome murder of a homeless teenage boy suggests a methodical serial killer is at work in Walvis Bay, a depressed port, isolated in the vast sweep of the Namibia Desert. It is a corrupt, claustrophobic place with a shifting population of people who came here only because they had to and where people know everything – and nothing – about each other. Another excellent thriller from Margie Orford, her second with Clare Hart as the profiler and investigator. This one is not set in beautiful Cape Town but the north, even though there is a visit to Stellenbosch . The psychology with Blood Rose is quiet chilling, it shows a very skilled writer who understands both the essence of the story they are telling and the effect that it will have on the audience. 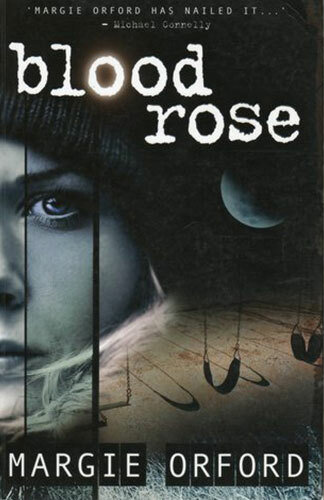 Whilst it is hard to say that I loved Blood Rose it is not hard to say that it was difficult to put down . Margie understands the situations that she writes about and the country in which her books are placed.